With amply appointed offerings that create not only a comfortable seating experience but a functional one as well, the Aram Collection will be a welcome addition to your home. The seating group is offered in a brown fabric or dark brown AireHyde for comfort and style that will blend effortlessly with your transitional decorative preference. 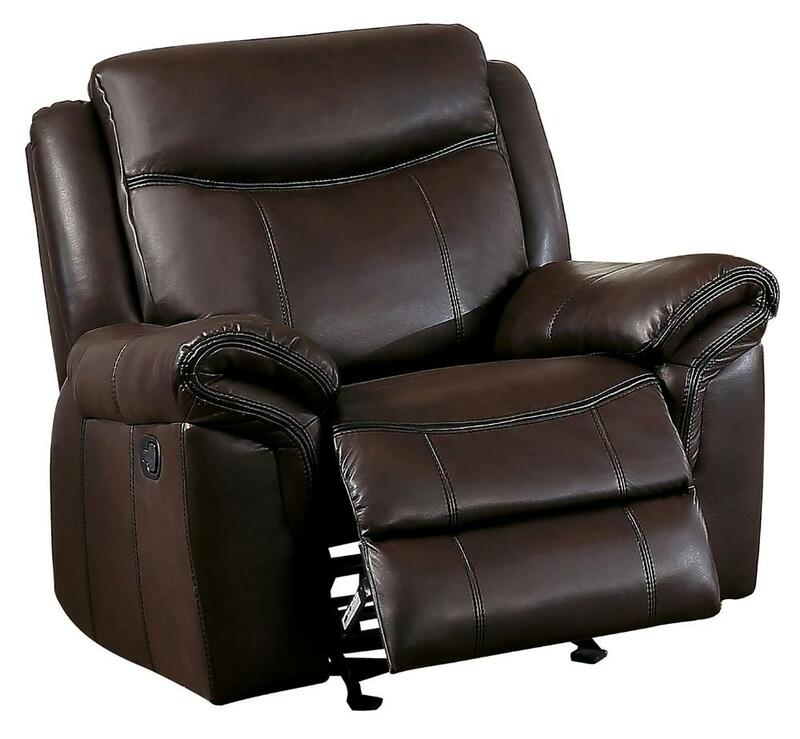 Manual motion mechanisms operate with the pull of a side-mounted tab, that once engaged, take you from seated to reclined in an easy motion. 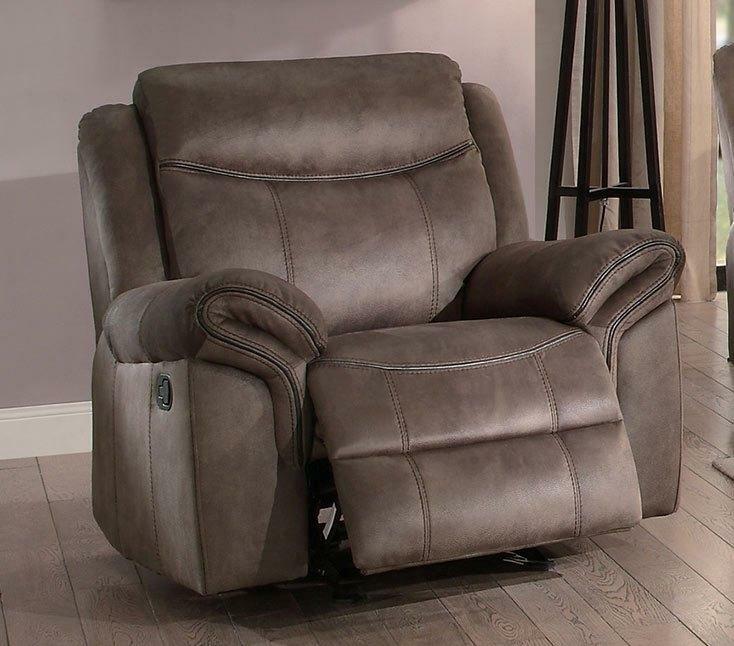 Chair features a glider mechanism that allows for easy back and forth motion. FEATURES: Brown / Dark Brown Color ~ Transitional Style ~ 100% Polyester Fabric Cover / AireHyde Cover ~ Manual Mechanism ~ Stitched Lines Accents.